So, those of you that follow me on Instagram will have seen that there have been some Pokemon Birthday Party celebrations going on. 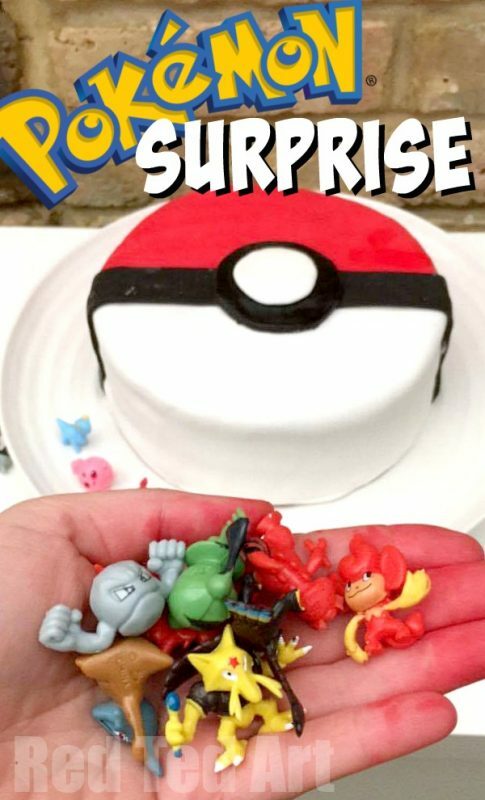 My son asked for a Pokeball cake at his birthday party.. and I suddenly had the idea to fill the cake with mini Pokemon figures – ie. 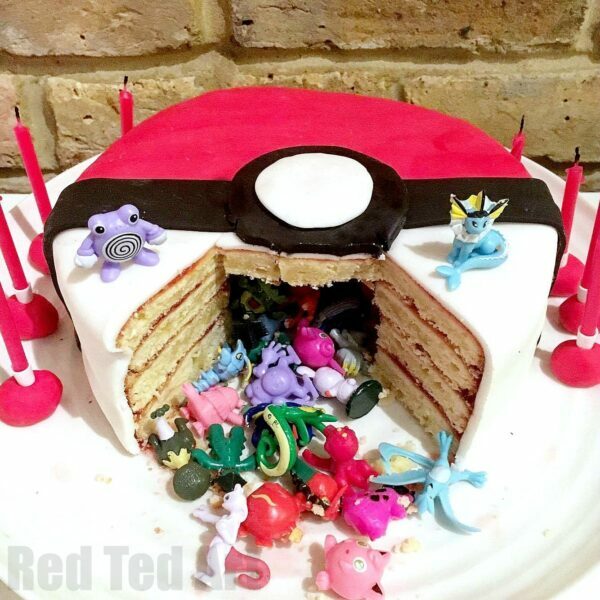 a Pokeball Pinata Cake. Cut the cake and the “caught” Pokemon spill out…. I wasn’t going to write a blogpost about it.. when I just shared the photo on social media. 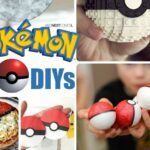 And boy.. was the response to this Pokemon DIY great, that I thought I had better do a how to and “video how to” about it too! 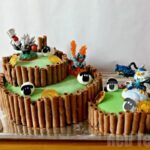 As the cake was for my son’s birthday and because I am not really a master baker (I dabble in it.. see previous birthday cakes such as our Princess Cake and Skylanders Cake – both of which I needed help with!! 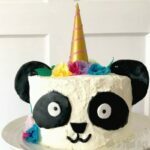 ), it was this Rainbow Pinata Cake that made me think of the Pokemon filled Pokeball Cake! Also please note that the photos are not brilliant (they were taken at the party) and that the video I filmed on the “off chance” that the cake turned out well. Well, the off chance won.. and it means a somewhat substandard video – but hopefully enough to show you how I did!! Sometimes that is all you need, right? Rather than massively style photos (I am kidding myself here). 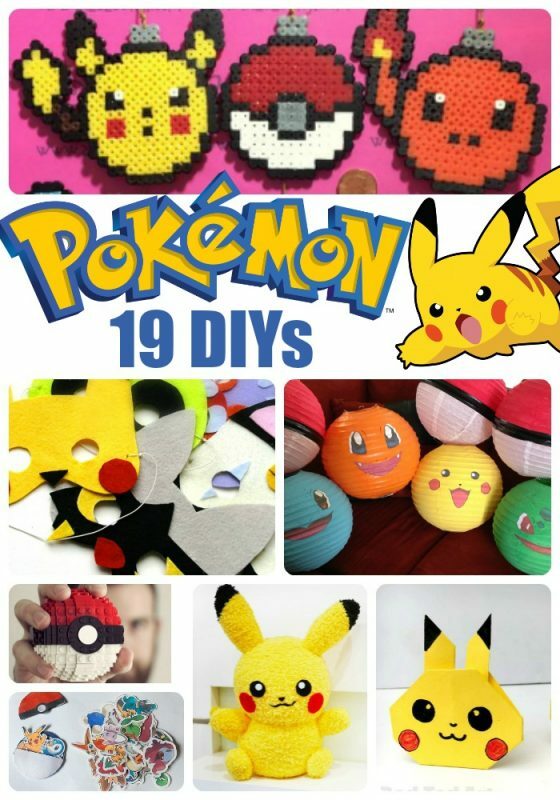 Here is my video on how to make a DIY Pokemon Cake / surprise pokeball pinata cake. 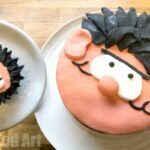 I have also embedded a video further down that is REALLY helpful if you are little nervous about using fondant icing. 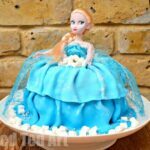 It is super helpful and it shows you how easy it is to put fondant icing on a cake – IF YOU KNOW HOW! Bake your cakes as per usual, but instead of using two cake pans, use 4. This will result in four “flatter cakes”. Of course you can make the cake as usual and then cut it in half, but I find that harder. Let your cakes cool fully. Cut a hole into the centre of 3 of the cakes. Then stack the 3 cakes – and “stick them together” with the jam or cream. Fill the hole with your Pokemon figures (yay). Add jam to the 3rd cake layer and then add the 4th cake like a “lid. 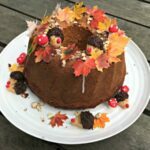 Now cover the hole cake in Jam or cream! Ok, now it is time for the fondant icing. 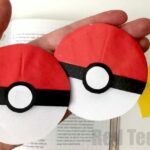 For a DIY Pokeball Cake, you will need red, white and black fondant icing. I decided to mix my own red fondant icing, but bought the black ready made. Roll out you red icing. Cut a straight edge and carefully place on HALF the cake. Follow the steps in the video to smooth down your icing. Repeat with white fondant icing on the other half of the cake. Make sure your hands are clean, so you don’t accidentally colour it pink! Next roll out a long thing strip of black. Wet the cake and place in position. Trim. Finally, you will need a larger black circle (I used a glass as a stencil) and small white circle (I shaped this by hand). Wet and stick onto cake. DONE!! 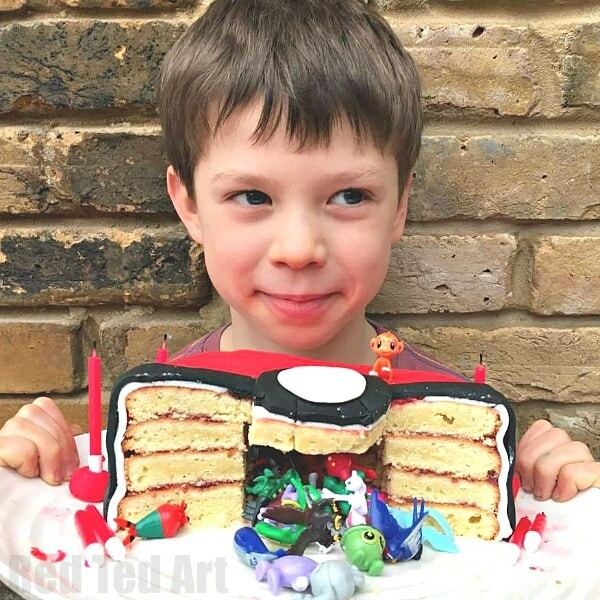 You have just finished your very own DIY Pokemon Cake!!! Have a great Pokemon Birthday! sorry Im a rookie by cream do you mean icing? Hello, uhm, I think it is a language thing US vs UK, I mean like butter cream icing or whipped cream!